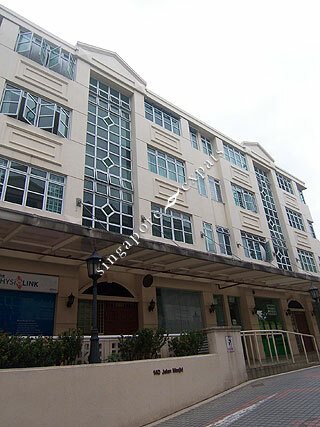 KINGSTON TERRACE is located at 8B, 14D JALAN MASJID in district 14 (Eunos, Geylang, Kembangan) of Singapore. KINGSTON TERRACE is a Freehold Condo development consisting of 32 units. KINGSTON TERRACE is completed / TOP in 1995 (estimated), developed by KING LYE REAL ESTATE P/L (FAR EAST ORGANIZATION). Educational institutions like GLOBAL INDIAN INTERNATIONAL SCHOOL (EAST COAST), ROSEMOUNT KINDERGARTEN, ROSEMOUNT INTERNATIONAL SCHOOL, ST. STEPHEN'S SCHOOL, EUNOS PRIMARY SCHOOL and OPERA ESTATE PRIMARY SCHOOL are near to KINGSTON TERRACE. KINGSTON TERRACE is accessible via nearby KEMBANGAN, EUNOS and KAKI BUKIT MRT Stations.